The Iran deal has led Israel and the Arabs to see eye-to-eye on a whole host of issues. The situation in the Middle East today—where the current state order is being challenged by upheavals that began with the so-called Arab Spring and deteriorated into violence in and between several states—raises the question of whether this situation is conducive to the initiation of regional security dialogue as a means of helping to enhance security and restore stability. In one sense, the breakdown in security underscores the need to create new understandings and mechanisms, and the first step is regional security dialogue. Indeed, as states feel increasingly vulnerable in the face of the intensifying violence it is perhaps a particularly opportune moment to begin seriously considering regional discussions. In another sense, however, it might be the worst possible time to entertain such ideas, given the chaos in a number of regional states, especially Iraq and Syria. And the failed-state status of Libya raises the question of who would even be the relevant participant in such a dialogue. Complicating the situation further is the complex matrix of state and sub-state interests that has emerged across the Middle East over the past few years. Regional upheaval has exacerbated tensions and disputes between pragmatic Sunni Arab states and Iran and its proxies, as well as between these states and Salafi-jihadist organizations like Al Qaeda and ISIS. These states are feeling weaker also due to internal tensions. But superimposed on this dynamic are the rivalries among the Sunni states themselves. Turkey, for example, cooperates with Saudi Arabia and Qatar in fighting Assad and ISIS, but is in conflict with Egypt over the treatment of the Muslim Brotherhood and related factions. And different states attach different weights to the various perceived threats. Egypt is a good example of this complexity: unlike states in the Gulf, Egypt does not see Iran as the major threat currently, and is more focused on the Muslim Brotherhood and Salafi-jihadist movements. Egypt also sees Turkey—a major player in the pragmatic Sunni camp—as a salient threat. There are severe limitations to solar power that are yet to be addressed and without large government subsidies, it is little more than a fashion statement. Network engineers classify power consumption into two broad categories – baseload, which is the minimum amount of power that is needed at any time of the day, and peak power, which is the maximum amount of power needed at certain specific times of the day. One problem that restricts solar energy from becoming the primary source of baseload power is that it is intermittent. This means that it comes and goes according to nature’s rhythms and does not quite fit the pattern of a normal human workday. Solar power may help meet peak demand if the requirement coincides with a clear and sunny afternoon. With a heavy emphasis on solar power expansion, India would be hitching its electricity generation, and by implication, economic growth, to the vagaries of nature. Germany’s Energiewende has shown that excessive dependence on renewable energy has raised the cost of electricity to consumers as well as increased reliance on coal and gas power plants for backup for when the sun is not shining. As a result, Germany’s green solution is looking rather brown. Nuclear power and thorium technology is a proven solution that is ready to be deployed now. It is a shame that Modi Sarkar has not realised that yet. As the United Nations Conference on Climate Change gets underway in Le Bourget, a commune in the northeastern suburbs of Paris, thousands of state officials, academics, activists, journalists, and ordinary people await the outcome of the extraordinarily ambitious agenda of the summit. Delegates from 195 countries are expected to gather in Paris and cobble together a legally binding agreement to reduce greenhouse gas and carbon emissions. Over 145 heads of state have also arrived in Paris at the beginning of the summit, a significant departure from United Nations custom, and many have spoken on the first day. The protagonist (or antagonist) of the conference is Prime Minister Narendra Modi. As the leader of a rapidly growing economy with over 1.25 billion people, Modi’s decision on the burden India will assume in fighting climate change bears substantial consequences on his country as well as the planet. On the opening day, the prime minister spoke at the plenary session, the Innovation Summit, and the launch of the Solar Alliance. It was disconcerting to note that at no event did Modi mention nuclear power, especially since his party had included that, particularly thorium technology, in its election manifesto for the 2014 general elections. By now, it has become apparent that the Bharatiya Janata Party, while in Opposition, slammed the door on India’s nuclear renaissance. In concert with the Communist Party of India, they pushed for a liability law that was at odds with international norms and has chased international nuclear vendors out of the Indian market. 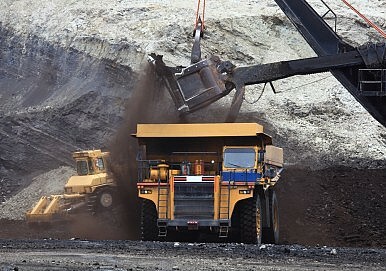 The only firm that still maintains a presence in India is the Russian Rosatom, which has renegotiated its contract and sharply increased the cost of its reactors – the cost of the first two reactors at Kudankulam was approximately Rs 17,300 crores while the third and fourth are expected to cost about Rs 39,400 crore. Meanwhile, the government has shown little interest in the Indian nuclear establishment ramping up nuclear power either. The sector has not undergone the necessary reforms to make it a competitive industry nor have there been announcements of a series of new projects. During the first 18 months in office, all that Modi Sarkar has achieved in the nuclear arena is the purchase of uranium ore from overseas – something that the previous government would have been able to do anyway since the Indo-US nuclear deal in 2008. The Indian media is claiming that one of New Delhi’s Russian-built Kilo-class diesel-electric attack submarines managed to “sink” a nuclear-powered U.S. NavyLos Angeles-class attack submarine during exercises in October. The Indian submarine INS Sindhudhvaj (S56) allegedly “killed” USS City of Corpus Christi (SSN 705) during an exercise called Malabar that is held annually between India, Japan and the United States. According to the Indians, the submarines were assigned to track each other down in the Bay of Bengal. “The way it happens is that the Sindhudhvaj recorded the Hydrophonic Effect (HE) - simply put, underwater noise - of the nuclear powered submarine and managed to positively identify it before locking on to it. Being an exercise what did not happen was the firing,” an Indian naval officer told India Today. The Indian vessel then “sank” USS City of Corpus Christi using 533mm torpedoes. If the Indian description of the events is correct, it would be a bright spot in an otherwise dismal record for New Delhi’s undersea force. In recent years, the woefully neglected Indian submarine fleet has suffered numerous calamities. Submarines have run aground, caught fire and even sunk due to a combination of underinvestment, negligence and corruption. Perhaps the worst incident was when INS Sindhurakshak sank when at harbor in Mumbai after a series of explosions in the forward torpedo bay, killing eighteen sailors. But the basic facts are that the Kilo is an extremely quiet and very capable submarine owing to its diesel-electric propulsion system. Running on electrical power while submerged, diesel-electric boats have been described as “a hole in the water” and are a vexing problem for the U.S. Navy. Developing ways to counter such vessels is a high-priority for Washington as many potential adversaries like China and Iran operate such submarines. Africa, China, India – Relationships in Transition? Two major conferences highlight Africa’s evolving relations with the two Asian giants. In late October, the majority of Africa’s heads of state followed Prime Minister Narendra Modi’s invitation and travelled to New Delhi for the third India-Africa Forum Summit (IAFS). The high-profile summit came at a time when India’s political and economic relations with African states have generally been overshadowed by the more prominent “Sino-African relations,” as all action between China and African states is styled. Many observers were expecting the policy-savvy Modi to use the IAFS to introduce a new era of India-Africa relations, potentially even outlining an Indian strategy to address the perceived omnipresence of China in Africa. While Modi rhetorically made use of the special connections between Africa and India, the summit nevertheless remained within known territory of international approaches to Africa. Modi promised concessional lines of credit and went on to emphasise the significance of Africa as a source of India’s energy imports, as a destination for Indian products, and as diplomatic support in India’s endeavour to become a permanent member in the UN Security Council. In the only regionally specific aspect of the summit, Modi also attempted to win political support from East African states in countering Chinese military expansion in the Indian Ocean. However, Modi failed to make use of the high-profile summit and present India as a viable alternative to China. Instead of imitating Chinese engagement on the continent, Modi should have tried to build on several key aspects of India-Africa relations: First, the Indian diaspora across East Africa can be politically and economically leveraged by both sides. Far better integrated than their Chinese counterparts, the diaspora plays an important political, economic, and social role. Second, India’s economic linkages with African states are sustainable and better integrated. Indian economic engagement across Africa is not dominated by state-owned enterprises, but rather based on the investment of private firms. Additionally, Indian engagement tends to take place in areas of crucial significance for further African development: pharmaceuticals, telecommunication, transportation, and agriculture. Finally, India’s political approach to Africa has emphasised the development and training of human resources, another key aspect of economic development. Even if the world celebrates a Paris climate deal on Dec. 11, the process will still have to be regarded as a failure. Let me explain why. The dangers of global warming have been known—even to oil company executives—since at least the early 1980s. Yet, despite 25 years of the United Nations-led climate talks, the world is burning more fossil fuels than ever. This is not simply the fault of big emerging economies such as China, India, or Brazil. Instead, what we are dealing with is the fundamental failure of neoliberal capitalism, the world’s dominant economic system, to confront its hunger for exponential growth that is only made possible by the unique energy density of fossil fuels such as coal, oil and gas. A glance at global history reveals how closely energy is linked to economic growth. The Netherlands was the first country to get a taste for exponential industrial growth back in the 16th and 17th centuries—and the Dutch empire was built on the availability of cheap domestic peat as well as timber from Norwegian and Baltic forests. By placing Afghanistan at its center, the Heart of Asia-Istanbul Process aims to promote regional cooperation by engaging divergent countries and organizations. 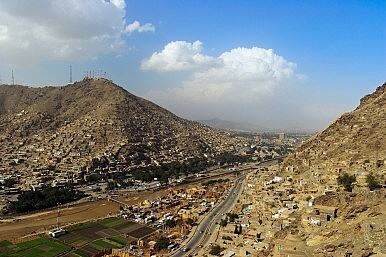 The process seeks result‐orientedcooperation for a peaceful and stable Afghanistan, as well as a secure and prosperous region. The process has 14 member countries, including China, Russia, Turkey, India, and Pakistan. The process also has 17 supporting member countries including the United States, Canada, the U.K., and 11 international and regional organizations, including the UN, SCO, SAARC, OIC, and NATO. French president Hollande has declared war - war on terror, George W. Bush style. Like September 11, 2001 wasn't a war, Paris November 13 wasn't a war. It was a criminal act. In the years before 9/11 about 400 people died worldwide by terrorist attack. The Global Terror Indexinforms us that 32.600 died in 2014 - 80 times more! The only - intelligent - exception is Italy whose PM has announced that Italy is going to counter terrorism by investing billions of Euros in culture, art and creativity - showing the world what civilisation is. Politicians and the mainstream media seemingly try to make us believe - as if we were uneducated - that we in the West are the main victims and innocent victims at that. We are neither. If knowledge may still play a little role in an era of propaganda and self-deception, no less than 78% of all dead from terrorism died in Afghanistan, Iraq, Nigeria, Pakistan and Syria. Not in Europe. Not in the U.S.
And if we are innocent it's because we have no sense of history, of colonialism, imperialism, mass-slaughtering of 'the primitives', of things like the secret Sykes-Picot Agreement between Britain and France in 1916 on how to divide the Middle East, of the Balfour Declaration (and thereby the Palestine-Israel tragedy), of the fact that the West/NATO/EU/US killed around a million innocent people in Iraq in 13 years of sanctions and during the occupation - no idea about regime changes, secret operations, coup d'etats, arms trade and propping up of dictatorships, Saudi Arabia to mention just one. Well, of course, it was all for freedom, democracy, human rights and the liberation of women. 'Cause we are good people" - at least much better than "they" are. It's just that it went wrong every time. The outlook for commodities remains negative, for now at least. American politicians, including George W Bush and Barack Obama, have failed to deal with the fact of Sunnis and Shiites hating each other and have been fighting for 1383 years. Their lack of knowledge and/or acceptance of that fact has led to their bungling and botching of Middle East policy. There are effectively two religions: Sunni Islam and Shiite Islam. Understanding the religious composition of countries in the Middle East goes a long way toward explaining why certain countries are fighting other countries or are standing by doing nothing in the fight against terrorism. For instance, why won’t Saudi Arabia fight ISIS? The answer is simple. They are both Sunnis. For the most part Sunnis won’t fight Sunnis and Shiites won’t fight Shiites. But they sure as hell will fight each other. Americans and the western world in general have just been snookered into getting involved in this mess, which has been going on for over 1000 years, starting with George W Bush’s ill-conceived and immoral invasion of Iraq. When Khomeini arrived in Iran in February 1979, one of the first statements he made to the media on the tarmac was that “he had come to rectify a wrong which took place 1400 years ago.” Westerners thought this somewhat quaint and obviously irrelevant. All that interested them was what he had to say about the Shah, America, and Israel. To Westerners, especially Americans, who dismiss things that happened a few days ago, Khomeini mumbling about some event that took place centuries ago seemed irrelevant. Middle Easterners, however, who never forget perceived wrongs, knew exactly what he was talking about. When the Muslim prophet Muhammad died in 632 CE, a fight broke out among the Muslims as to who would inherit the leadership of Islam. Those who supported their prophet’s family eventually became known as the Shi’ites. Those who supported what might be labeled the “establishment” in Mecca became known as the Sunnis. The Middle East enveloped by military turbulence generated by global and regional power-play and the spectre of ISIS power-push in the region did not require another provocative military escalation of tensions by Turkey after the Russian military intervention in Syria for the twin objectives of neutralising the ISIS and also ensuring no regime change takes place in Syria by Syrian rebel groups supported by Turkey, Saudi Arabia and the United States. With the ISIS being now viewed as a global threat, the Russian military intervention in Syria should have been welcomed by ISIS- tolerant states because the ISIS that they created for a regime-change in Syria now stands transformed into a strong entity with the potential to devour them too. Turkey may be now reportedly hosting two million Syrian refugees but it also cannot shove-of media reports suggesting that the main influx of new ISIS foreign inductees into ISIS pass through Istanbul and that ISIS exports and sale of oil goes through or bought by Turkey. So therefore Russian military intervention in Syria primarily against the ISIS which figures now in Russian threat perceptions should have been welcomed as any ISIS neutralisation would now require a global effort. Contextually, in recent years under the same Turkish top leadership there was a marked upsurge in Turkey-Russia political, military and economic relations with consequent mutual benefits to both these nations. That itself should have held back Turkey and the Turkish President from authorising the shoot-down of the Russian Air Force fighter plane on a mission on the Syrian-Turkish border. So what has changed after the Russian military intervention in Syria? Was Turkey under NATO pressure? Or were Turkish regional power ambitions being thwarted or were there strong domestic political compulsions? Readers can draw the conclusions from the discussion below. Turkey seemingly indulged in unwarranted brinkmanship against Russia by shooting down a Russian Air Force SU-24 which Turkey claimed intruded into Turkish airspace for 17 seconds while on bombing sorties against the ISIS, and that was all the more reason for Turkey to exercise restraint going by the tense overlapping of multi-nations bombing sorties against the ISIS in the congested airspace on the Turkish-Syria border. Syrian Turkmen rebel positions are located perilously close to the Russian airbases, North of Latakia, being used for Russian air strikes. While Russia so far has held its hand back from military retaliation against Turkey for this brinkmanship challenge for geopolitical reasons, but reports suggest that Russian ripostes are now two pronged. The first is economic retaliation by curtailing gas supplies to Turkey, cutting of Turkish imports into Russia and clamping on Russian sizeable tourist traffic to Turkey. But stronger retaliation short of war against Turkey is the Russian intensification of air strikes against Syrian Turkmen positions contiguous to Turkey’s Southern border. This besides neutralising sizeable rebel forces operating against the Syrian regime of President Assad hurts Turkey most contextually in terms of Turkey’s domestic politics. Analysing the military implications first, it needs to be brought out first that Tukey’s President would be powerless to hit back at or impede Russian Air Force strikes against Syrian Turkmen positions, with Russian Air Force operating strictly in Syrian airspace. Secondly, Russia has decided now to provide Russian Air Force fighter aircraft escorts to its aircraft on bombing sorties along the Syrian-Turkish border. Thirdly, Russia has despatched highly advanced S-400 Air defense missiles systems which in similar circumstances would be able to shoot down Turkish Air Force planes impeding Russian strikes against Turkmen and other rebel positions. Fourthly, which option Russia recently employed in its present military intervention was the use of long range cruise missiles to effect from as far as off Russian Navy ships in the Black Sea. Since Russian military strikes on Turkmen rebel positions was becoming a strong pressure point in Turkish domestic politics and likely now to become intensified, the Turkish President may have to regret on this attack on the Russian Air Force strike aircraft. Controversy has gone viral on blogger-sites as to how Turkish TV crews were at the right place, at the right time and facing the right direction, to film live the Russian Air Force strike aircraft going down in flames after being hit by Turkish military action. This controversy got further reinforced when the Russian President indicated that all Russian air strikes undertaken along the Syrian-Turkish border, prior details were being provided to the United States. This factor brings into account that the United States could have passed on this information to Tukey making this downing of the Russian Air Force aircraft a “premeditated” one. Notwithstanding the fact that this controversy will go on for some time, let us now examine the geopolitical implications. The Russian President may have presently held back his hand for wider geopolitical reasons but it would be uncharacteristic of him not to retaliate strongly with a military option wherein Russia provides strong military backing to Kurdish rebels battling the Turkish regime. This could add to Turkish military challenges which already have multiplied after Turkey also pitched-in for a regime-change in Syria. Turkey’s regional power aspirations in the Middle East stand a greater chance of being dented with Russia no longer friendly-disposed towards Turkey and Russia-Iran strategic convergences against regime-change in Syria getting that much more reinforced. Turkey has already spoilt its relations with Iran after recording a phase of friendly relations some years back. The Russian President’s strong reactions terming the Turkish shooting down of the Russian Air Force fighter-plane as a “stab in the back” and by “accomplices of terrorists” cannot be taken lightly, especially the latter term which connotes Turkey as accomplice of the ISIS. Concluding, it needs to be observed that Russia-Turkey relations seem to be headed towards “frozen turbulence” in which Turkey may be a bigger loser geopolitically than Russia. Turkey’s strategic space and flexibility in the regional strategic space is likely to be restricted now. Though religious extremism in Bangladesh has been put in check under the Sheikh Hasina-led Awami League government, the radicals have been trying hard to regain lost ground. In recent months one can see an increase in extremist activity in Bangladesh. Extremists have been involved in a number of killings. They also seem to have widened the range of their targets. While it is true that the Hasina government could have done a better job of containing their activities, Bangladesh and the region is still better off compared to what it was during the rule of the Bangladesh Nationalist Party (BNP)-led four party alliance. To begin with, extremists targeted bloggers whom they claimed to be acting against Islam. This year, the first blogger to be targeted was Avijit Roy who was killed on February 27. This was followed by the killings of two more bloggers Washiqur Rahman Babu and Niloy Chottopadhay. The Islamists have contended that these bloggers were atheists and wrote offensive blogs against Islam. While it is difficult to justify the killings of bloggers, it is at the same time important to note that many in Bangladesh, including the government, did indeed find some of the blogs hurtful. For this reason, the government suggested that not only was it necessary to check the actions of Islamists but also for the bloggers to exercise restraint. This attitude of the government has unfortunately resulted in the lackadaisical response of the law enforcement authorities, who did not act promptly to control the situation and bring the culprits to book. The charge sheet in the killing of bloggers has still not been filed. So far, law enforcers have only arrested a few suspects. Unfortunately, in this phase, the government, constantly facing demonstrations from the opposition parties, did not want to be seen as acting on behalf of the bloggers who were presented as anti-Islam. December 1, 2015: After initially avoiding ISIL (al Qaeda in Iraq and the Levant) targets in Syria Russia has switched its air power from attacking Syrian rebels doing the most damage to the Syrian government to ISIL. The switch came in early November when Russia realized that it was indeed, as ISIL claimed, a terrorist bomb that brought down an airliner full of Russian tourists over Egypt on October 31st. Then came the ISIL Paris attack on the 13 th and suddenly France and Russia were allies in Syria and going after ISIL targets together. France is now using the same (but not identical) ROE (Rules of Engagement) Russia uses against ISIL targets and ignoring the use of human shields. Since the middle of November Russian aircraft have been hitting over a hundred targets a day and concentrating on ISIL finances. That means hitting the oil production and smuggling (oil into Turkey) operation. The American led coalition had also been attacking these oil targets but under the much more restrictive ROE and despite a year of effort had not hurt the oil income substantially. Russia also accused Turkey of quietly helping to finance ISIL by not doing more to halt the smuggling of oil into Turkey and sale of it on the black market. The anti-Turk angle has become more prominent since Turkish F-16s shot down a Russian Su-24 on November 24th. Russia and France have agreed to coordinate air operationsin Syria. Russia has similar deals with the United States and Israel but the French arrangement goes farther than just avoiding friendly fire and collisions. Any closer cooperation with France will be difficult because France still opposes Russian aggression in Ukraine and the Russian insistence that ISIL is all an invention of the United States. This is Cold War type propaganda as is the Russian accusations that NATO and the United States are plotting to conquer (or at least seriously weaken) Russia. Meanwhile Russia sees other opportunities in the ISIL situation. Because of the ISIL threat more Western countries are willing to ignore the Assads, at least for the moment, and concentrate on ISIL. This is what Russia wants because this gives Russia an opportunity to pour more military and economic aid into Syria to make the Assads stronger. Russia points out that the Assads are still the recognized (by the UN) rulers of Syria and Russia is there at the invitation of the Assads. NATO and the United States are not, nor is Turkey which had been flying some bombing missions against targets in Syria. Technically Russian warplanes and air defense systems could be used to attack aircraft that are illegally (according to the Assads) operating in Syria. Yet Russia does not want war with NATO or Turkey because the Turks control access from the Black Sea to the Mediterranean and that is the shortest water route to Syria for the Russians. Moreover Russia knows that, despite all its boasting about rebuilding the Russian military these forces are still no match for NATO, especially in Syria. 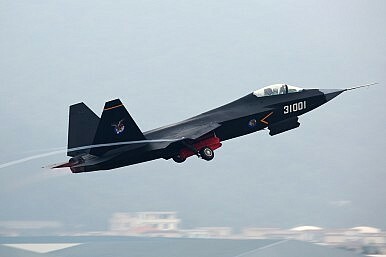 Who Will Win Asia's Fifth-Generation Fighter Race? China, Japan, South Korea and India are all developing advanced aircraft. How and why is this happening? Tensions are rising high throughout the Asia-Pacific. From the Indo-Pakistani border, through Australia’s controversial border policies to China’s disputes with its neighbors in the South and East China Seas, Asian states have been increasing investments in their military capabilities. In all these cases, having forceful and credible aerial assets is a crucial part of deterrence. This is reflected in regional defense spending. Meanwhile, the world is facing a generational shift in military aircraft. Since the final decade of the Cold War, the skies have been dominated by so-called “fourth-generation” combat aircraft: supersonic jets with increasingly sophisticated electronic capabilities, equipped with weaponry able to engage the enemy over several kilometers distance. These still make up the backbone of basically every modern air force around the world. However, several states with large budgets and a high degree of military research and development spending are attempting to develop so-called “fifth-generation” aircraft. These jets incorporate stealth technology, which makes them difficult to detect on radar, powerful and secure communications, and advanced sensors that help pilots and ground control teams to keep “full spectrum dominance” of the battlespace. The U.S. has been leading the way in this field. Although there is some contention as to what actually qualifies a combat aircraft for inclusion into the fifth-generation category, most sources agree that only one currently fully operational model meets the criteria: the Lockheed-Martin F-22 Raptor. The specs surrounding this aircraft are closely guarded secrets, and Washington does not export it to even close allies. Lockheed-Martin’s other fifth-generation aircraft, the F-35 Joint Strike Fighter, is slated for export to a number of allied states. However, the F-35 remains mired in controversy due to delays, overshot budgets, and technical glitches (see here, here andhere). Across the military, the services are moving electronic warfare and cyberspace operations ever closer together as the two disciplines become increasingly intertwined, dependent on each other and a source of growing pains. And while that integration is happening across the Defense Department, it's the battlefield effects that should be the focus, according to a top Air Force official. The push to combine EW and cyber is well established – at Fort Gordon, Georgia, the Army will co-locate its cyber and signals headquarters, and the service's CIO/G-6 office currently is assessing integration of some cyber, signal and electronic warfare operations. But more than integration, it's about synchronizing operations, effects and personnel. In cyberspace, "we provide pathways for information. We deny adversaries information. It's the same mission…that we do in different domains. 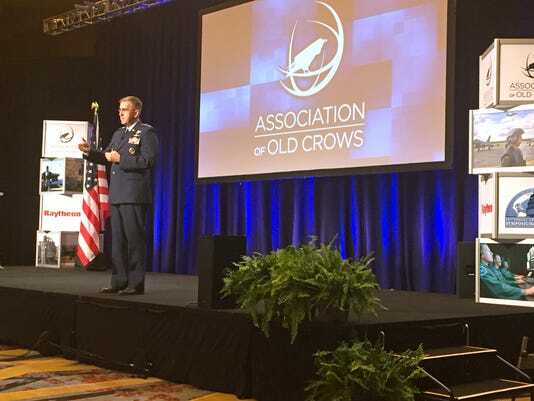 And when you do it in different domains that means you have to have different operators that are trained and expert in those domains," Gen John Hyten, commander of Air Force Space Command, said at the Association of Old Crows symposium in Washington Dec. 1. "We're not trying to synchronize the mission of electronic warfare with the mission of cyberspace – cyberspace is not a mission. What we're trying to do is synchronize electronic warfare with the domain of cyberspace and the other domains as well." It's the operational and tactical effects that should be emphasized rather than doctrine and lexicon, Hyten said, calling on the services to arm troops with an informational edge in addition to an arsenal of offensive and defensive measures. The common thread? The electromagnetic spectrum. "The effect that we're trying to create is that any time we put an airman, soldier, sailor or Marine in harm's way we want them to have total information superiority," he said. "In order to do that they have to conduct the missions that they need to do in air and space and cyberspace, and one of those missions is electronic warfare in order to achieve the effects." Achieving those missions means making changes in the way DoD operates, including culture, training and budgeting. Hyten pointed out that at Space Command, some $3 billion is dedicated to cyber, with $2.7 billion going toward network operations. The remaining $300 million is directed to offensive and defensive cyber operations – leaving nothing for defending weapons systems. "It's critically important to think about defending weapons systems in the domains we're operating in," Hyten said. "Every mission in the military – ground, sea, air, space – it's all interlinked, all connected, and the power is when it works in the multi-domain environment to create the effects in the battlefield we need it in." Take the convenient target of the Joint Strike Fighter program. Three years ago, the always-balanced Winslow Wheeler called the JSF “the jet that ate the Pentagon.” Today, the USAF’s F-35As may still cost a lot, but they're costing less, and projected to cost yet less. Just how much less is still debatable, but the rest of LaPlante’s data (and projections) are easy enough to imagine. The current actual costs and future expected costs of current programs are decreasing. The expected costs of future programs may also be decreasing. There may be many reasons for this relative success, but I can highlight two. Bureaucrats across the department have learned lessons about the challenges of concurrency in development and production, and of trying to bundle all that capability into a single plane or program. That lesson on concurrency, though, does point to a second classic category of procurement performance: time. To start with, as Fred Beach of the University of Texas has highlighted, time is money too. Over the past sixty years, the Defense Department has experienced a steady increase in bureaucratization and a commensurate decrease in technical proficiency of managers in its processes for weapons development. The resulting do-overs have sometimes come with big price tags. There’s an even bigger problem for the friendlies: as David Deptula once remarked, “Al Qaeda doesn’t have a JCIDS process.” Overall speed-to-fielding still looks bad: the Defense Department is now about twenty years into that JSF effort. But as the program office and Lockheed Martin are suitably quick to note, the schedule hasn’t slipped much further in the past five years. So, in addition to LaPlante’s cost data, we should also want to see the numbers on whether particular parts of the acquisition process are moving faster. November 30, 2015: The U.S. Army has developed a lighter and easier to set-up version of its battlefield Internet. This is called Win-T and the node (routers and satellite communications) equipment is now much smaller, small enough that it will fit in a hummer (instead of a five ton truck). The new node gear can be set up in two hours (rather than 24 hours with the older stuff). The new node gear has been made much easier to operate and maintain as well as set up. In addition the new version will operate on the move. All this makes it possible to keep the battlefield Internet fully operational even when units are moving around rapidly. 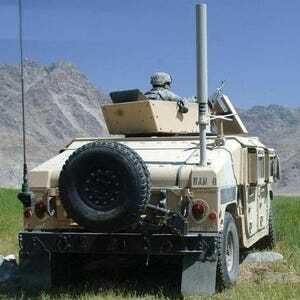 Win-T is a component of the new army communications system (CS 13 or Capability Set 13) created for combat troops as part of an effort that began in the 1990s. In 2013 four combat brigades successfully tested CS-13, which consists of several different technologies the army has been developing since the 1990s. This includes Nett Warrior (an effort to get networking down to the squad leader), Win-T (Warfighter Information Network-Tactical Increment 2, a battlefield Internet), BFT 2 (Blue Force Tracking 2 for tracking troop location in real time), Company Command Post (giving company commanders more data), and tactical radios like AN/PRC-117G, Rifleman Radio, and combat smart phones and tablets. The test showed that the stuff in the hands of the troops was easier to use but away from the troop level, especially the node gear, was often too complex and bulky. Thus the need for the new and improved node gear. As a society we are fairly reactive to issues and opportunities brought about by change. A strategic approach to change is all but absent. Those that choose the much more difficult strategic approach usually find themselves in a position of strategic advantage, while those that choose the reactive approach typically find themselves slugging it out day after day. Stop for a moment and think what percentage of your cyber efforts (offensive and or defensive) are reactive and what percentage are strategic and proactive? There are several aspects to both the strategic and reactive approaches. The most common reactive approach is “patch and pray.” Organizations respond to reported vulnerabilities and cyber-attacks as they become known. Most of their efforts are NOT strategic or proactive. This has proven to fall way short of what is necessary for the current cyber threat environment. A recent report by a leading cyber security product and services company provided a solid understanding of the reactive challenge, showing that each month millions upon millions of new strains of malware are released on to the Internet. When you boil those numbers down, they translate to between 10 and 20 new strains of malware being released each and every second in the month. How many organizations are capable of dealing with that many threats being added each and every second of the day? Very few, if any. Clearly, a new proactive approach is necessary and must be crafted, vetted, built and implemented if we are to make a substantial improvement in the current level of cyber security. This is not the only attribute of what is now necessary, the approach must be much more holistic as well. The dialogue on cybercrime announced during Xi’s visit to the U.S. holds its first round of talks. China and the United States will hold the first round a new dialogue on fighting cybercrime this week in Washington DC. According to Reuters, China’s minister of public security, Guo Shengkun, arrived in Washington on Tuesday for the talks and will depart on Sunday. Guo met with U.S. Secretary of Homeland Security Jeh Johnson and Attorney General Loretta Lynch on Tuesday for the opening of the talks. Cyber issues, and particularly Chinese government-sponsored hacking for commercial gain, was a major focus of the Obama administration heading in to President Xi Jinping’s September 2015 state visit to the United States. 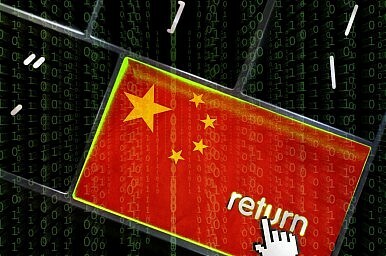 After threatening to slap China with sanctions for such hacking, the administration was able to get Beijing to agree “that neither country’s government will conduct or knowingly support cyber-enabled theft of intellectual property, including trade secrets or other confidential business information, with the intent of providing competitive advantages to companies or commercial sectors.” It’s a promise of dubious worth, considering China has always officially denied carrying out hacking activities of any kind. Of more potential value was the announcement of a new, high-level cyber dialogue – not only a replacement for but an upgrade to the working-level talks that were discontinued when China pulled out after the United States indicted five PLA officers for cybercrimes. According to a White House fact sheet issued during Xi’s visit, the two sides agreed “to establish a high-level joint dialogue mechanism on fighting cybercrime and related issues.” The dialogue would be led by a then-undetermined ministerial-level official from China (now known to be Guo of the Ministry of Public Security) and by Johnson and Lynch on the U.S. side. In addition, China’s Ministry of State Security, Ministry of Justice, and State Internet and Information Office and the U.S. Federal Bureau of Investigation and intelligence agencies would participate. US Jammed Own Satellites 261 Times In 2015; What If An Enemy Tried? WASHINGTON: Russia and China are investing heavily in cyber and electronic warfare, but they’re not shutting down US satellite downlinks yet. Instead, we have met the enemy and he is us — we think. “In 2015 thus far, we have had 261 cases where we have been jammed from getting information from our satellites down to the ground segment,” said Gen. John Hyten, head of Air Force Space Command, at the Association of Old Crows electronic warfare conference. The real cause is “almost always self-jamming” where our own transmissions, radar or radio, unwittingly interfere, Hyten told reporters after his public remarks. Self-jamming shows we don’t have enough awareness of what our own forces are doing in the spectrum, let alone of what an adversary might do, Hyten said. “We have not had a focus on it,” he admitted, but the military is now working to build that awareness. There is no doubt about it. We’re in a cyberwar and the bad guys are winning. Cybercrime set new records in 2014, with hack attacks up 55 percent from the previous year, according to CSO magazine’s “State of the CSO” survey. And 2015 is on track to be even worse. In fact, Symantec says companies with more than 2,500 employees now have a 1 in 2.3 chance of being targeted for attack. The most virulent hacks are directed by criminal organizations, foreign nation states and terrorist groups with seemingly unlimited resources. We’re no longer talking about some kid in a hoodie operating out of his suburban bedroom. Today’s sophisticated hackers work for organized crime and/or government agencies and they are responsible for untold economic losses. For proof of this, look no further than Sony, Ashley Madison and Anthem. So how has the situation become this bad? One of the dirty little secrets about the cybersecurity industry is that there are simply not enough security professionals to stop them. Anecdotally, CSO magazine reports that about 90 percent of chief security officers can’t find people for many of the positions they need to fill. This systemic shortage is not a problem that will be fixed overnight. Meanwhile, the demand for security professionals keeps growing, and the attackers keep coming. We need some new approaches to successfully fight cyber threats. One immediate opportunity is to develop a national, coordinated plan to cultivate that half of the population which is severely underrepresented in the field of security—women. Just 10 percent of information security professionals worldwide are women, according to the latest data from (ISC)2. 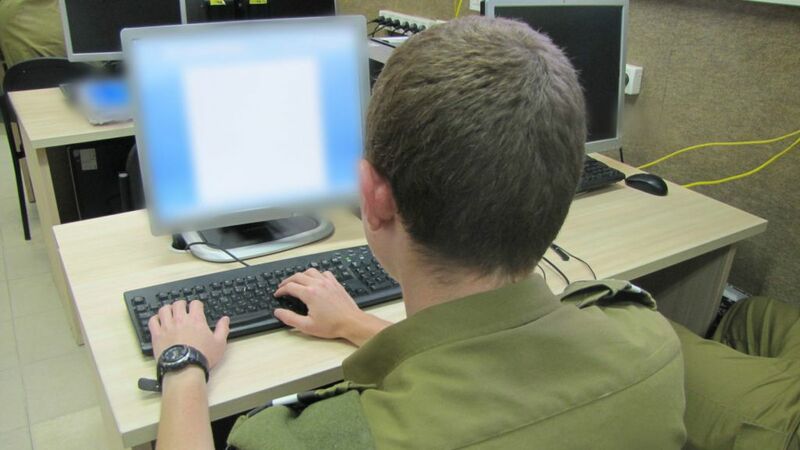 IDF Chief of Staff Lt. Gen. Gadi Eisenkot appointed a first commander for the army’s new cyber protection corps, which is being touted as the first line of defense against online threats to Israel. The officer, who could not be identified for security reasons, was promoted from the rank of colonel to that of brigadier-general. Responsibility for cyber security is today dispersed throughout the army, with the Military Intelligence Directorate handling offensive capacities and the C4I branch dealing with protection. The new corps, which is still being established and is expected to be operational within two years, would bring the army’s cyber know-how under a single roof. Nationally, the Shin Bet security service, the Mossad, the IDF and the National Cyber Bureau in the Prime Minister’s Office operate without a unified and hierarchical cyber framework. In August 2014 security establishment officials said that there was an unprecedented cyber-attack on Israel from Iran during the war in Gaza that summer, including the brief hijacking of the Israel Defense Forces’ Twitter account. The targets were mostly civilian websites and systems, rather than military or national infrastructure networks, Channel 2 reported. November 28, 2015: Officials in two Chinese coastal provinces(Jilin opposite Japan and Hainan facing the South China Sea) have established a hotline for tips from citizens who suspect foreign visitors of spying. This program is based on the suspicion that foreign agents, posing as tourists or business travelers, are going to coastal provinces to recruit Chinese to gather information where they live and email it to their foreign handlers. While this makes sense in theory in reality foreign intel agencies get what they need via spy satellites and local Chinese posting to the Internet. Chinese social media sites and the Chinese media are an excellent intelligence resource. Although still a police state and possessing a huge state censorship organization (which spends most of its efforts on the Internet) China has become quite open. One of the best sources of military information are from the millions of patriotic Chinese who are constantly (and proudly) reporting the latestdevelopments in the Chinese military. Much of this is posted on the Internet, often including cell phone pictures and videos. The government has had a hard time censoring this sort of thing, especially as it does not want to suppress the enthusiasm of young Chinese for their military and newmilitary technology. The new spy hotline is apparently more of a propaganda program to maintain popular support for Chinese aggression in nearby waters where China is claiming islands and vast expanses of sea that, according to international law (which China agreed to) that it has no real claim on. Leaders who find ways to connect with their people are the ones who build great teams, inspire the best performance, and rise to positions of influence when others wane. If you look back on your career, you’ll likely observe that the most impactful leaders were the ones who made a personal connection with you. Maybe it was keen professional mentorship, or timely advice during adversity, or a personality trait that invited trust. Sometimes there’s no pinpointing it…just an intangible feeling that makes it easy to follow a person. In the culture of busyness that we face today, it’s distressingly easy to ignore the personal side of leadership. But trust will never develop without a personal connection between leader and follower. And without trust, an organization will be confined to a transactional environment of mediocre results and melancholy people. This is a list of simple ways that leaders can make that personal connection day to day. These are the kinds of engagements that cause followers (and their spouses) to walk away saying, “Wow, that was very thoughtful of him” or “She didn’t have to do that, but we really appreciated it.” These are also methods that your team members and subordinates will admire and adopt for their own leadership profile. If you have similar ways that you connect with your team, be sure to share them in the comments below. Learn their first names. This is a must from day one. The days of stoic military professional stiffness are over. Today’s generation expects a personal connection. Plus, you shouldn’t go to war with someone if you don’t know their first name. Learn their spouses names. In a similar vein, learning spouses’ names is a critical first step to conveying that you care about the entire team, not just the service member. Develop a system or a cheat sheet, if you must, and recruit your own spouse for help. Go to the hospital. I can’t overstate how important this one is. If a team member or spouse has a baby or is hospitalized, supporting them in person at the hospital has a profound impact. I still remember the three people who came to visit us when our second daughter was born, and one of them was my Regimental Commander. We remember the books that change us…that alter our thinking, move us emotionally, or reveal unseen, enlightening perspectives. Powell’sMy American Journey did that for me. So did Bill Bryson’s A Short History of Nearly Everything. And when I read Malcolm Gladwell’s Blink in 2007, I recall connecting so many new insights that I didn’t have enough book margin to capture them all. The relevancy for the military profession spilled off of the pages and sparked an intellectual curiosity that has lasted for years. The topic is neuroscience and the breakthrough discoveries that its researchers have made in recent years. As neuroscientists publish fascinating papers about how the brain functions, authors like Gladwell, Jonah Lehrer, David Rock, Joseph LeDoux, and others translated their work into digestible language with real world application. From decision psychology to organizational efficiency to change detection and management, new understanding of the brain is changing how we live our lives. But as I made connections from neuroscience to the military profession, specifically tactical combat leadership, I found few resources to aide the service member, Dave Grossman’s On Killing and Warrior Mindset being the most useful. So I decided to embark on a personal quest to publish something that references neuroscience to improve military leader performance. What resulted was my first published article and a Master’s thesis on the topic. This post is an adapted version of that endeavor. The brain wants to move toward things in life that give it pleasure or ensure survival, and away from things that cause pain or threaten survival. Combat demands that military individuals overcome this natural impulse to survive and move toward the danger. From this perspective, succeeding in combat is a measure of how well the brain copes with dangerous situations and performs tasks that ensure survival.